It’s weird to be back in the hospital – the H as I affectionately call it. 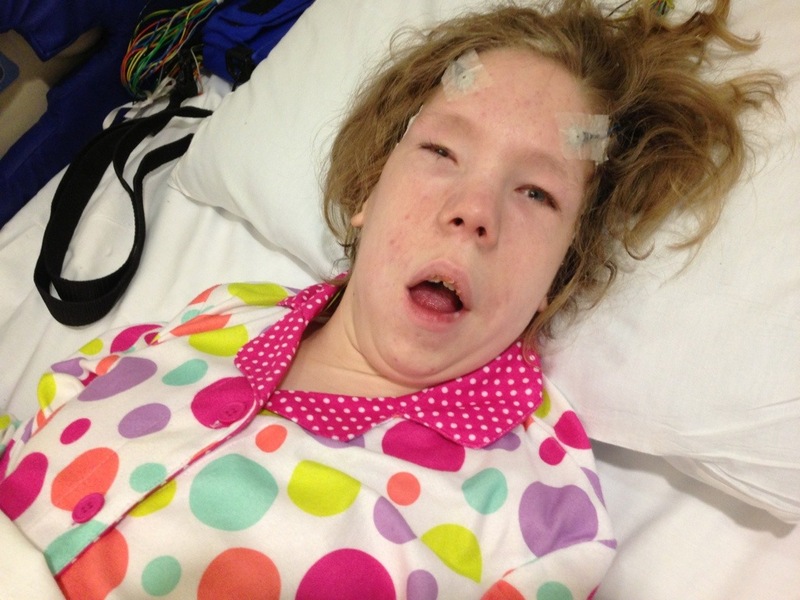 This time we are in for several days to monitor Catherine to see if episodes she has had for years are seizures. And if they are not, what are they? It’s weird though because we checked in without the stress of a life threatening surgery. 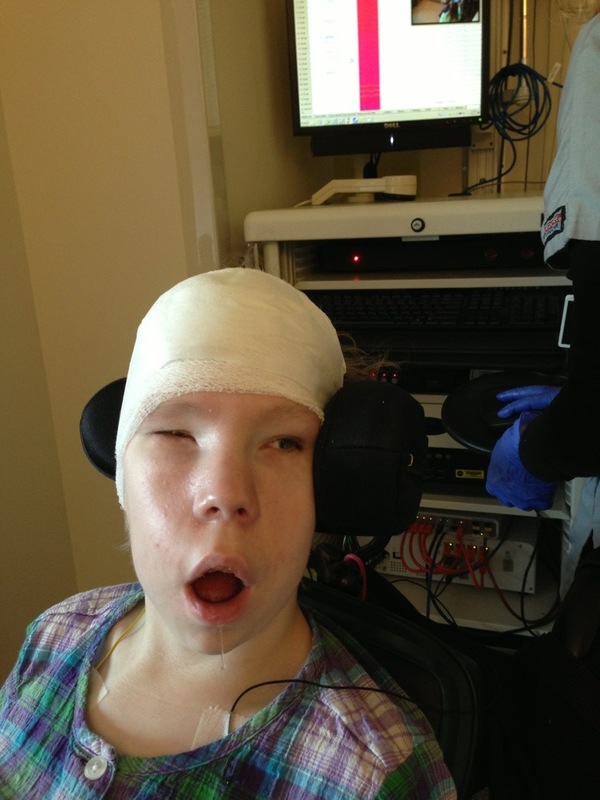 And we are quarantined in a room 24/7 while they watch Catherine – and us – around the clock to see what’s going on in her brain. I keep thinking its like the medical version of Big Brother. 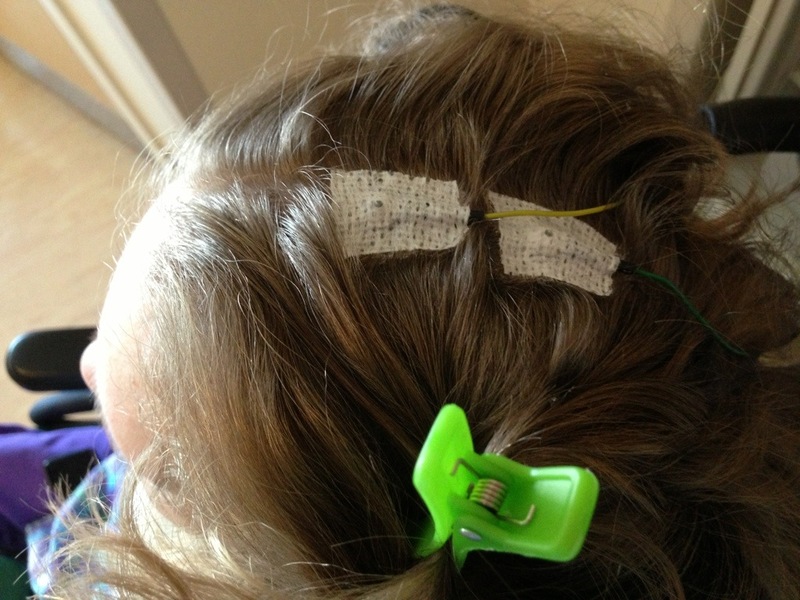 We arrived yesterday and they immediately put the leads on her scalp to track every single brainwave for days and nights on end. 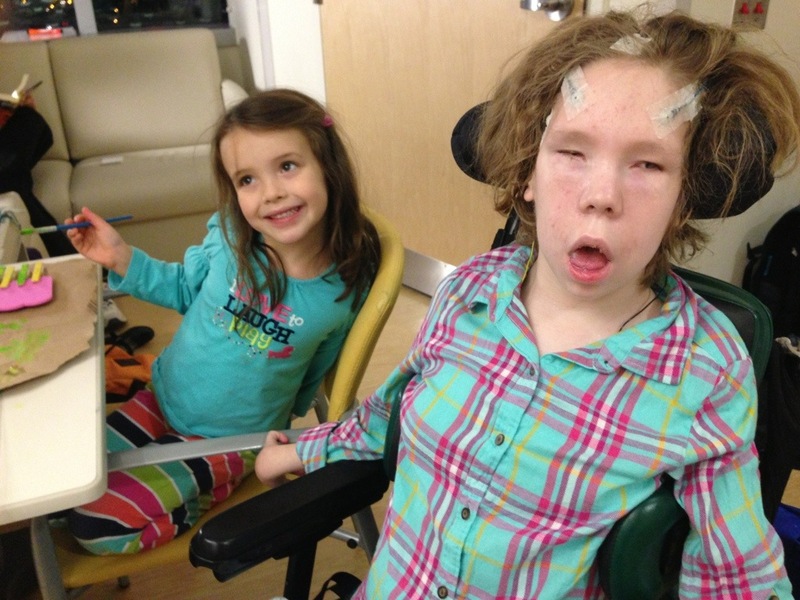 They literally use glue to adhere the electrodes to her head. Glue! Then they wrapped her head in a turban. Had I not known what was going on underneath, I might think she had checked into a spa for a little self time. Ha! Brian stayed with her overnight last night and I am with her tonight. It’s weird because it’s just life as usual only we are under surveillance – oh and behind a door that air locks! 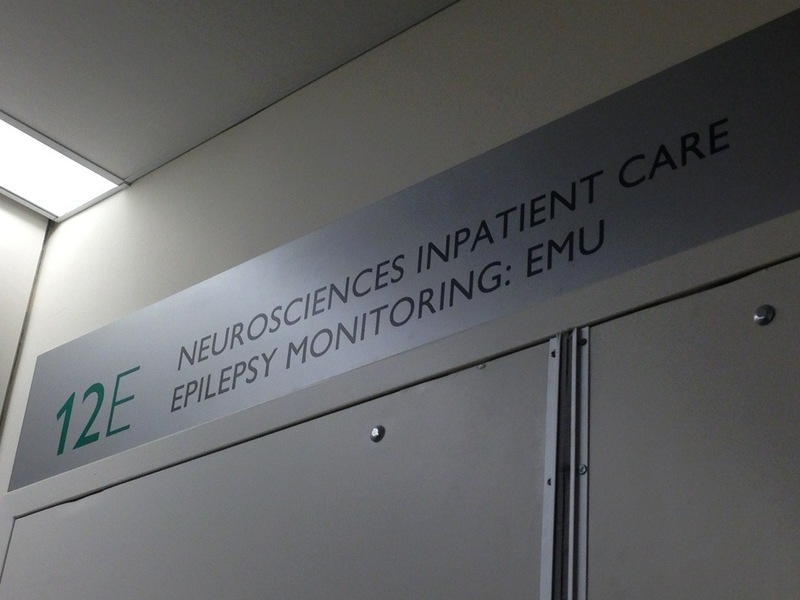 Too much interferes with the EEG equipment so each time a staff person enters or exits we hear a whoooosh as the door opens. Again – weird. Fortunately they have already seen 3 or 4 episodes. As we settle in for the night I am struck by the odd desire to see her body shake uncontrollably so they will get more data and be able to determine what these shakes and tremors are. Who wishes that for a kid? Tonight, I do. Like I said – weird.